Dr. Trilochan Mohapatra, Secretary DARE and DG ICAR visited ICAR-IISR on 22 December 2018. 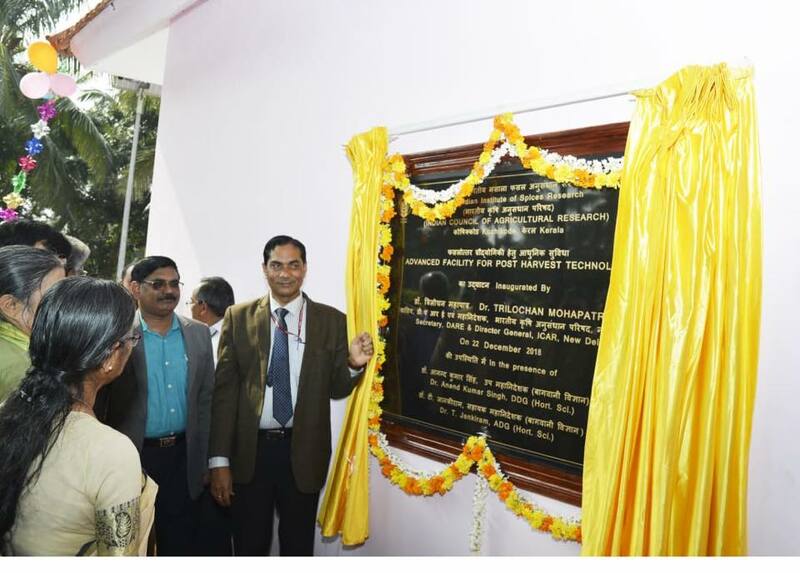 During his maiden visit to the Institute he inaugurated the Advanced Facility for Post Harvest Technology which is expected to give a significant thrust to research on processing, food safety and value addition in spices. Dr. Mohapatra also inaugurated the Seminar on Good Practices in Spices for Clean and Safe Spices, which was attended by more than 200 farmers. Dr. T Janakiram, ADG (Hort I) and Sri Suresh Chandel, Member, ICAR Governing Body were also present during the occasion. As part of the seminar, an exhibition was organized showcasing the technological advancements and varietal wealth in spices along with the current developments in post harvest processing and value addition in spices. In his inaugural address during the seminar, Dr. Mohapatra stressed the importance of meticulous crop planning for enhancing the farm business income from farming activities in spice crops. Product development for niche markets, better application of mechanization and innovative crop management strategies can further enhance the returns from spice farming. During the day long visit to ICAR IISR, Hon’ble Director General visited all the research facilities and labs, nursery complexes and experimental plots of the institute. A special media interaction session was organized at the institute attended by representatives from over 30 prominent visual and print media establishments. The Director General handed over incubate agreement to four Agri Start Ups registered with the ITM-BPD unit of ICAR IISR and certificates of appreciation to several farm entities for their services in furthering the cause of spice farming in the country. He released three new biocontrol technologies developed by the Crop Protection Division. “SpiceCom” an elaborate database on high compounds from spices and “Spice VarReg” a mobile app providing information and facilitating registration of Farmers Varieties was also launched. Eight publications including five books, one technical bulletin and three folders were also released during the day. 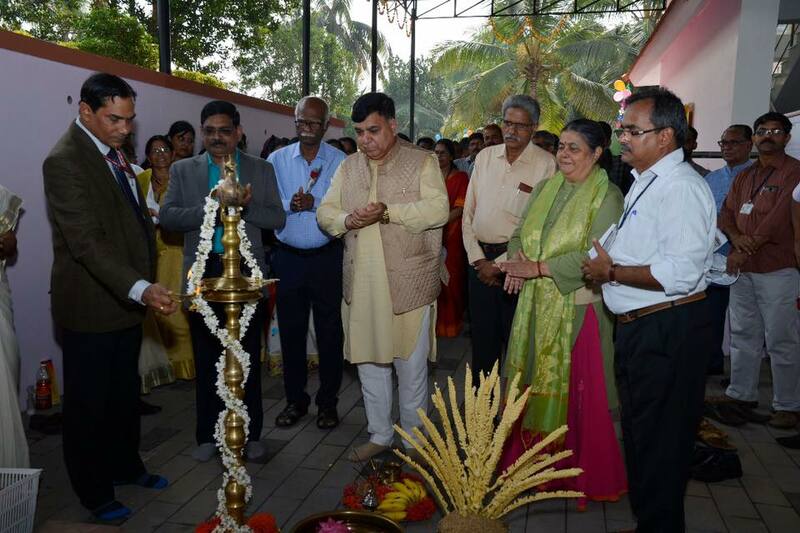 Other dignitaries present included Dr. K V Peter, Former Vice Chancellor, Kerala Agricultural University, Dr. Archana Mukherjee, Director, ICAR-CTCRI, Dr. C N Ravishankar, Director, ICAR-CIFT, Kochi and Dr. P. N. Ravindran, former Project Coordinator (Spices).